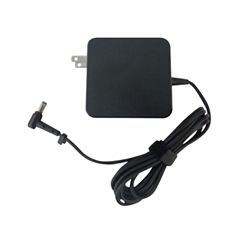 Description: New laptop ac power adapter charger & cord. This high quality aftermarket adapter is 65 watts. The specifications are below. Compatible Part #'s: ADP-65JH BB, EXA0703YH, PA-1650-66, SADP-65NB AB, PA-1650-78, ADP-65GD B, EXA1203YH, ADP-65DW B, ADP-65BW B.
Asus F551MA, Q502L, Q551LN, X502CA, X551, X551M, X551MA, X551MAV, X551CA. Asus Vivobook Q500A, S300CA, S400CA, S500CA, S550CA.